Inside the chambers of Justice Gerald Garson, the cigars were handmade and the language unrefined. In hidden-camera recordings, Garson freely dropped the F-word, used terms such as "ditz" to describe women, and doled out advice to a shady divorce lawyer on how to overbill a client: "Squeeze the guy." The short judge with an impish grin also received a $250 box of cigars from the attorney — a scene that's come to symbolize the four-year investigation of courthouse corruption in New York's most populous borough. "What you'll see and what you'll hear went on in that robing room will shock you," prosecutor Joseph Alexis told jurors last month before playing the video at Garson's ongoing trial. The cigars were courtesy of the Brooklyn district attorney, who orchestrated the sting by wiring Garson's chambers with a tiny camera and persuading the divorce lawyer, Paul Siminovsky, to betray his friend in exchange for leniency in his own bribery case. Garson, 74, faces up to 31 years in prison if convicted on charges of accepting a bribe and receiving rewards for official misconduct. The judge's defense attorney, Michael Washor, has argued that his now-retired client was guilty only of stupidity. "There was conspicuously absent any criminal intent or motivation of gain," Washor said. 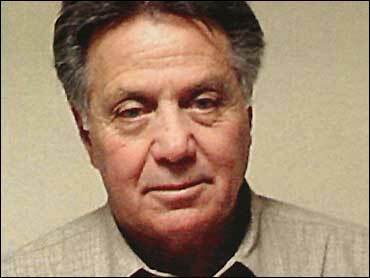 Prosecutors first alleged in 2003 that Siminovsky bribed Garson so the judge would award him lucrative guardianships in child-custody cases and give him advice on winning divorce cases. Authorities initially suspected civil judgeships were being bought and sold for up to $50,000. Hard evidence of such brokering never materialized, but the scandal did bring down the longtime head of the Brooklyn Democratic Party and resulted in convictions of courthouse staff and other lesser figures. Last month, a jury convicted former party boss Clarence Norman Jr., a former state assemblyman, of grand larceny in what prosecutors called a scheme to shake down a judicial candidate. He is awaiting sentencing. "The days of back-room politics, the smoke-filled room deals, are limited," Brooklyn District Attorney Charles Hynes said after Norman's conviction. The Garson case has also provided ammunition for critics of the state's system for nominating judges. They insist the nominating conventions are unconstitutional and rife with cronyism, and the U.S. Supreme Court announced last month it would review their complaints. In Brooklyn, several women accused Garson and other judges of conspiring to decide property and child custody matters in favor of their ex-husbands. "Garson is the tip of the iceberg," said one of the women, Esther Yang, calling the former judge a "thug." Court officials responded to the outcry by assigning another judge to hear any complaints about Garson's decisions. But few people came forward, and those who did ended up settling out of court, the officials said. Before his arrest, Garson was a little-known jurist with a backlog of divorce cases and a cozy relationship with Siminovsky, who represented some of the divorcing spouses. Over the years, investigators say, the judge violated his neutrality by letting the lawyer buy him thousands of dollars worth of meals and drinks. Their liaisons were exposed in 2002, when a woman reported that a courthouse crony told her that her husband, a client of Siminovsky, had arranged to bribe Garson, who was overseeing the couple's divorce. Investigators arrested the lawyer, who agreed that day to wear a wire while having lunch with the judge. Jurors heard an audiotape of Garson allegedly sharing strategy with Siminovsky over matzo ball soup. On his client's testimony, the judge advises, "Just have him deny a few things." Later in his chambers, Garson questions why Siminovsky slipped the box of 25 Dominican cigars into the judge's desk. The lawyer responds, "Because you have my head together. You know, you gave me little pointers." During another taped meeting, Garson allegedly accepts $1,000 cash. "Make sure it's not going to fall out of your pocket," the lawyer cautions. "Yeah," the judge responds. "It's not going to fall out." The judge later wavers, asking whether the lawyer should take the money back and instead contribute to the judicial campaign of his wife, also a civil judge. "Don't worry about it," the lawyer says. Investigators say they found the stack of bills stuffed in Garson's pocket when he was arrested.